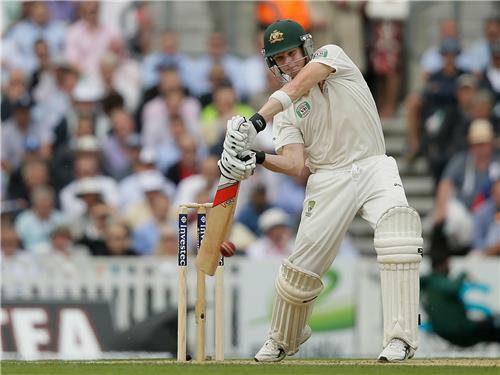 Join Lizzy Ammon for live coverage of the final Ashes Test between England and Australia at the Kia Oval. This pitch is FLAT man. A wild flash by Smith nearly gets an edge to Prior. 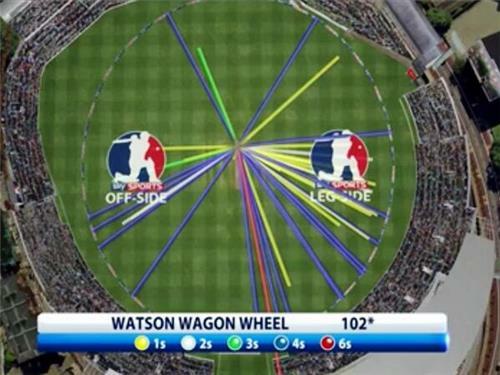 That is a legitimately excellent century from Watson. Calculated brutality early on and gutsy stuff against excellent post-lunch bowling. Oh dear - a horrible horrible full toss no ball from Kerrigan. The afternoon began with Broad bowling a series of short balls to Clarke and Watson. The latter being hit in the jaw by one when he was on 91*. It shook him up but he batted on admirably to his century which ca,e off just 114 balls. A perfect delivery by Anderson got the shoulder of his bat when he was on 104 and a regulation slip catch was dropped by Cook. 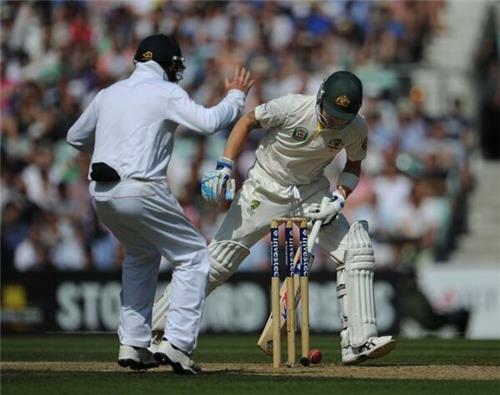 Clarke's painful and sorry innings came to end when Anderson clipped the top of his off stump to take him past Bob Willis's wicket tally and to become the second leading English wicket taker of all time. After a battering in the morning session both Woakes and Kerrigan returned for second spells. 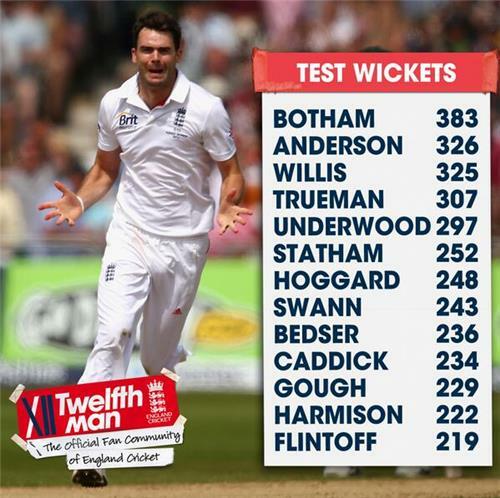 Woakes started his second spell with 2 maidens and bowled much tighter. Sadly Kerrigan was clearly nervous and struggling bowling long hops and full tosses. A really difficult debut for the lad. Watson and Smith moved the score easily on to 183/3 at tea. Blimey - didn't see that coming. Watson hooks straight down KP's throat. The day started with the surprise news that England were going to play five bowlers, handing Test match debuts to Chris Woakes and Simon Kerrigan. Michael Clarke won the toss and chose to bat in gloriously sunny conditions on an Oval featherbed. Anderson made an early breakthrough dismissing Warner for just 6 but after that England struggled. Watson was in aggressive and dominant form deciding to target both Woakes and Kerrigan when they were brought on to bowl. After lunch, Broad and Swann put Australia under some pressure with some tight bowling. Swann was rewarded with the wicket of Rogers edging to slip. At the other end Broad was battering Clarke with a series of short pitched balls that the Australian skipper could not cope with. Watson was struck under the helmet by a bouncer from Broad when he was on 91* but after some on-pitch treatment he was able to continue. It wasn’t long before Clarke’s horrible innings came to end when he got an inside edge off Anderson on to his off-stump. The evening session saw Smith and Watson move the scoreboard along steadily all evening. Surely before close Watson was caught hooking a short ball off Broad straight down Pietersen’s throat. A bit of suicidal running nearly sees the end of Smith. Trott scoops up and shies at the stumps but it misses.